DESCRIPTION OPEN HOUSE SAT APRIL 13 1:00-3:00Upmarket custom built 2834 + 1137 ft2 stunning family Estate home! This exquisite home built in 2011 by Homes by Avi is located steps from Fish Creek Park & located in one of the most upscale part of Evergreen Estates. This home is loaded with upgrades & attention to detail. 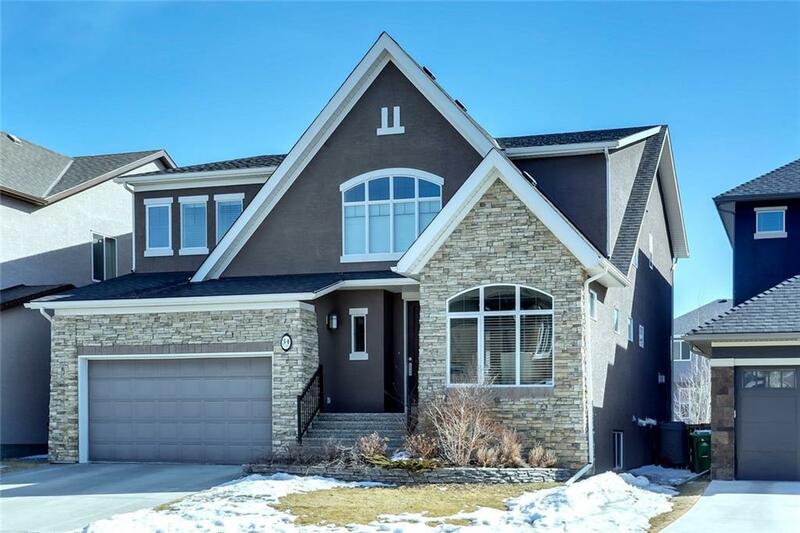 Featuring a stunning custom chefs kitchen with a stainless appliance package, a huge great room with grand windows, a separate wine room, main floor office with extensive built-ins ,a large walk-in pantry & 2nd storage room & back entry nook. A layout perfect for the busy family! The upstairs boasts 3 bedrooms plus a bonus room which could easily be converted to a 4th bedroom. The master retreat is large & bright with an exceptional ensuite complete with steam shower, jetted soaker ,double sinks & vanity & a large closet. The lower level has a great family space with 10 ft ceilings, stone fireplace, screen & projector tv & full wet bar & refrigerator and a 4th bedroom & full 4-pc bath . The backyard is fully landscape with a 30 ft gas line roughed in to the middle of the backyard - perfect for an outdoor fireplace and/or bbq area. The house also has a Nuvo entertainment system with multiple zones & TV's in Great Room & Bonus Room. Also included for you summer comfort is central A/C and in ground sprinkler system, water softener, instant hot water and filtered water in the kitchen just to name a few of the additional inclusions.